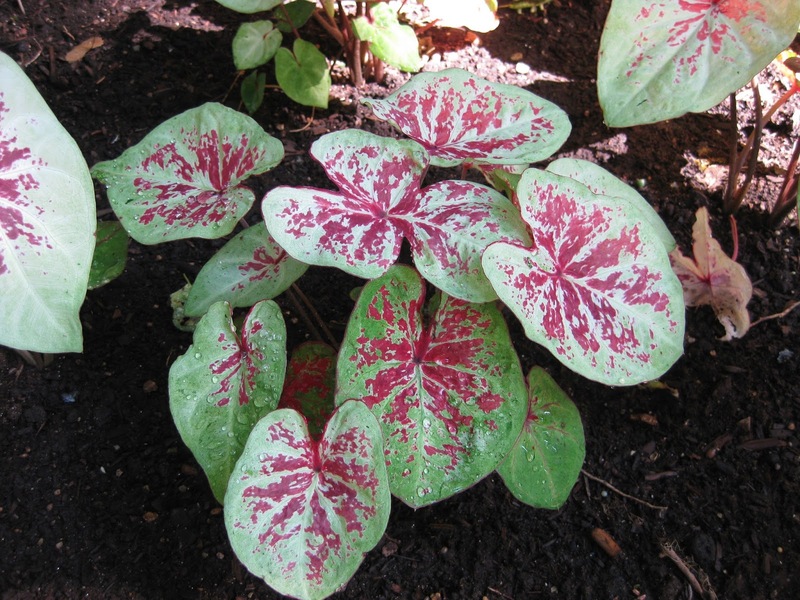 We’re excited about our caladium (Caladium sp.) collection this year! We hope to display over 50 varieties of this tropical aroid which is native to primarily South America. 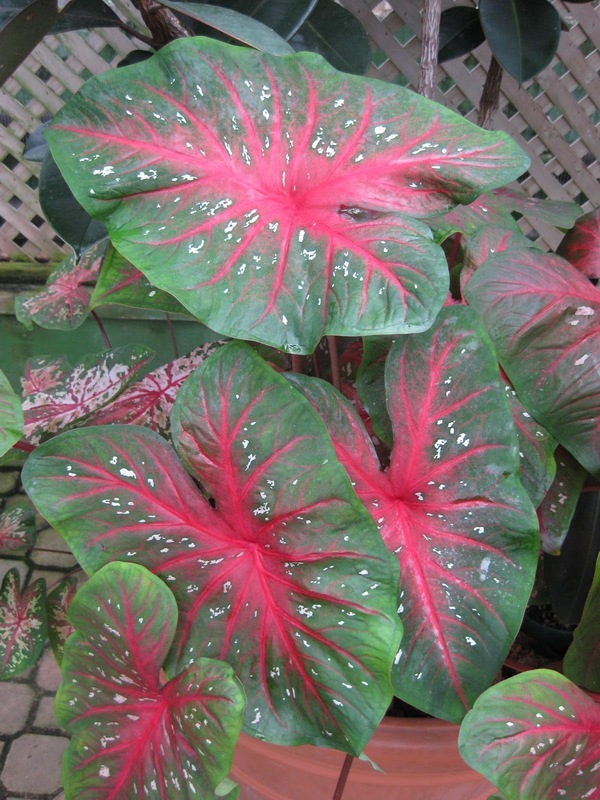 There are various species of caladiums but most breeding efforts have funneled them in to two broad categories; fancy-leaved and strap/lance-leaved. 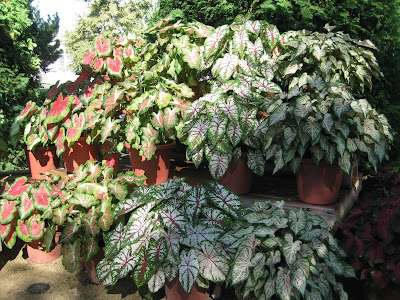 We’ve been growing more caladiums each year in our shadier gardens due to their extraordinary performance and color contributions. 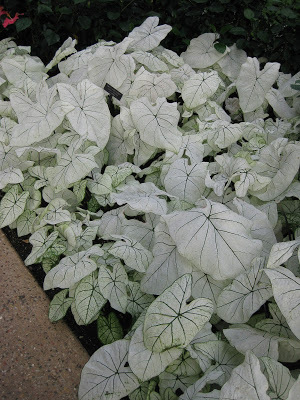 They also thrive in shady containers as the drainage is typically ideal in those situations. 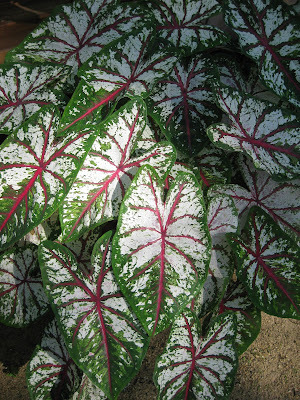 Decent soils, drainage and some degree of shade are all parts of the “recipe for success” with caladiums. 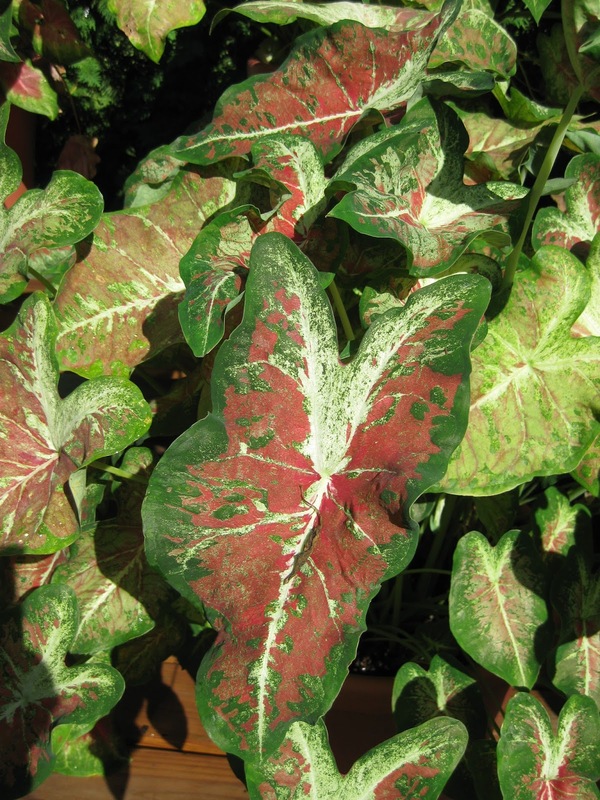 With impatiens downy mildew affecting our impatiens plantings, we are focusing on more caladiums to offer color in those locations. 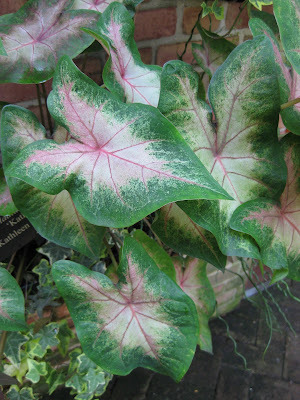 With over 2,000 varieties being offered over the last 150 years, there is no shortage of selections available to the home gardener. 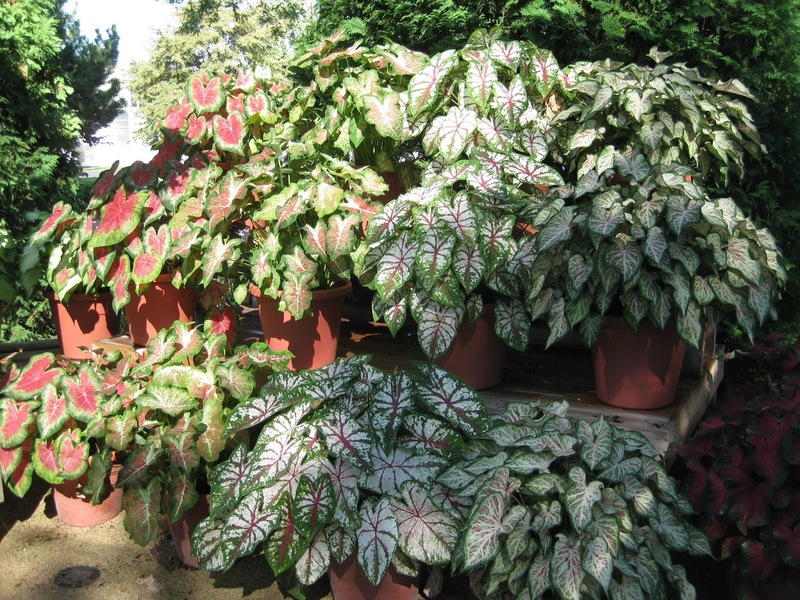 Grown from a tuber, caladiums are best started in a warm spot inside in 6″ pots in late March. They can be slow to emerge and unfurl their foliage at which time they should be given some degree of light. 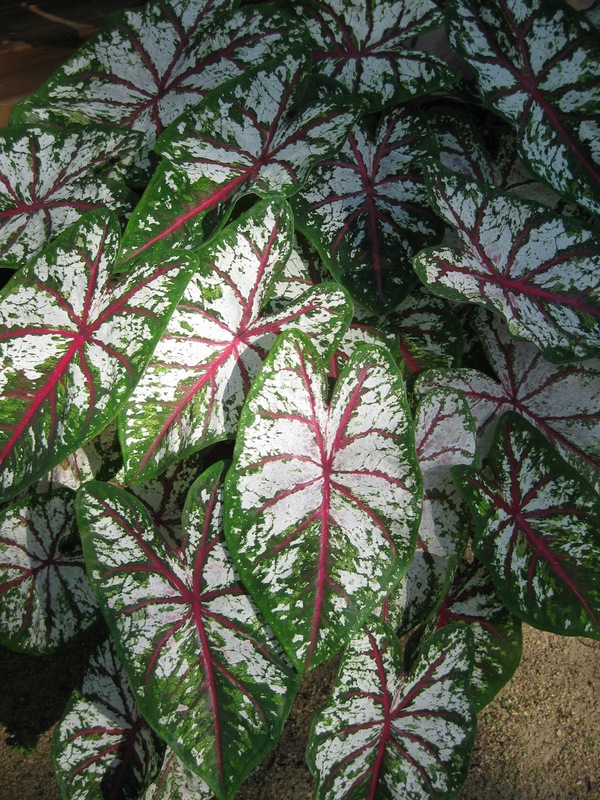 This allows some growth prior to planting in late May / early June when the soil temperatures have warmed adequately. We don’t plant our caladiums until the first week of June. 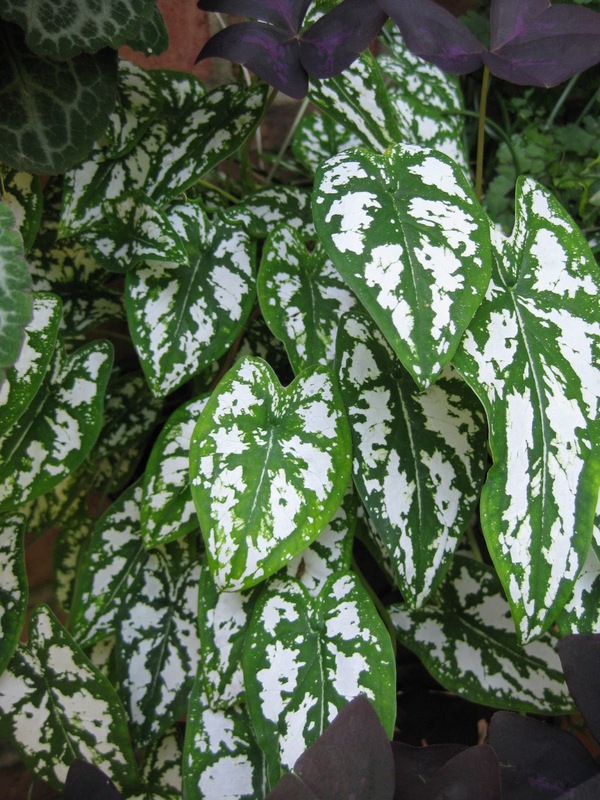 We’ll be starting over 3,000 of these in pots this year (very shortly!). Enjoy just a “smattering” of the varieties that are out there; many of which will be in our collection this summer. 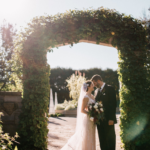 It was a gorgeous day outside with ample blue sky and sunshine after a chilly start. Larry H. headed out immediately for a wide range of gardening tasks which included plenty of Spring garden clean-up. Kathy, Eva and Kay were all out tidying the shade garden which still had leaves and twigs from last fall and winter. 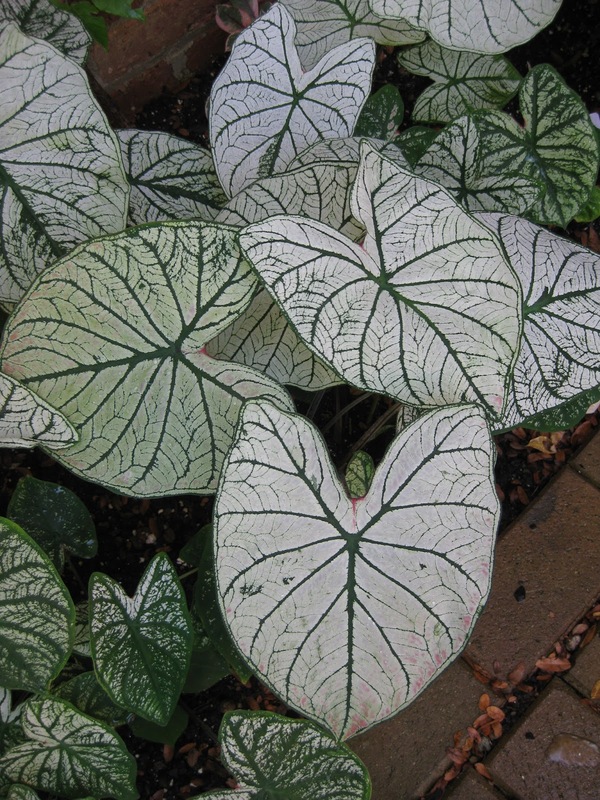 This tidying is imperative as there are so many bulbs and perennials emerging right now. Alan M. was also in to help tidy up and Dr. Gredler continued his painting projects. Maury F. ran some errands for us and I had a meeting with Marsha N., Jean B. and Sue this morning. We saw plenty of others today as well.